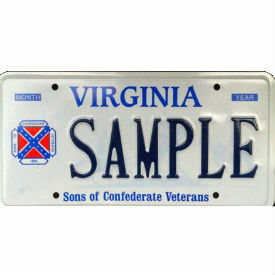 Today in federal district court in Danville, Judge Jackson Kiser ruled from the bench that he will dissolve his 2001 injunction that had allowed the Sons of Confederate Veterans to place the Confederate battle flag on certain specialty license plates in Virginia. Judge Kiser’s ruling will not be official until he enters his order, which will also address whether the decision will apply prospectively to new license plates, or retroactively to include existing ones. Deputy Attorneys General Rhodes B. Ritenour and Jeffrey M. Bourne and Senior Assistant Attorney General Janet Westbrook handled the case on behalf of the Commonwealth.